There are a wide range of jobs in the cannabis space, some that are common and others that are more specialized and obscure. No doubt there are more budtenders and cultivation associates than any other position, followed by other product-related positions like concentrates manufacturing technicians and flower trimmers. One position that’s also in regular demand but seems to slip between the cracks more than others is the much-needed and admirable role of becoming a cannabis caregiver. Other positions exist and are in demand in nearly every legal cannabis state for both the recreational and medical side of the industry, and perusing cannabis job boards for various states where marijuana is legal will confirm this fact. There will always be a regular demand for these positions—or at least for the foreseeable future. Caregivers work in much less visible roles but serve a vital purpose. Many sick people who depend on the relief cannabis provides need help with obtaining and administering their cannabis medicine. If you are interested in possibly becoming a cannabis caregiver, remember that in order to get virtually any job in the cannabis space you must be 21 years of age or older. There is no way around this legal requirement. Many cannabis caregivers are family members of medical marijuana patients. These caregivers have a personal interest in the work they do and the conviction to help a family member in need. Because the laws surrounding cannabis use vary so widely on a state-by-state basis, the terms and requirements of caregivers in different states can be significantly different. For instance, in the state of Massachusetts, the role and responsibilities of a cannabis caregiver is defined by the Massachusetts Department of Health and Human Safety, which states a medical marijuana caregiver is “a person, registered by the Department, who is at least 21 years old, who has agreed to assist with a registered qualifying patient’s medical use of marijuana, and [who] is not the registered qualifying patient’s certifying physician.” Obviously, this regulation prohibits people aged 20 or younger from becoming caregivers and simultaneously creates a separation between caregivers and physicians. The caregiver responsibilities outlined below are fairly typical of the responsibilities of most of them. 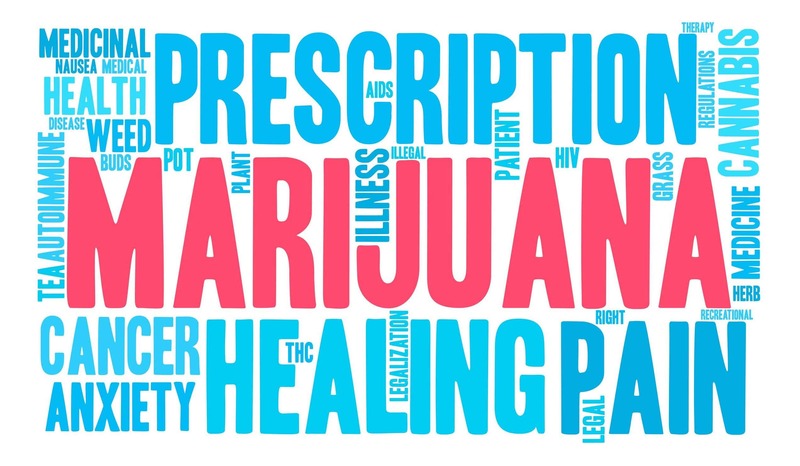 Those who benefit from medicinal cannabis require a doctor’s recommendation in order to obtain marijuana and use it legally (unless their state allows the use of recreational marijuana). States issue medical marijuana cards to these patients, which they must renew by the expiration date to keep the cards valid. Marijuana caregivers play a role in making sure the patient’s recommendation or medical card is valid and does not expire. A caregiver must be designated as such and apply with the appropriate state agencies (for instance, in California, it’s the California Department of Public Health). Caregivers are the people designated by legal marijuana patients to assume responsibilites for their housing, health, and safety. Medical marijuana patients generally select their own caregivers and can switch caregivers. Often, the role of being a medical marijuana caregiver requires possessing both signed documents from the patient as well as caregiver-approval documentation from the individual state in which they reside. While caregivers often may have more than one patient, patients may not have more than one caregiver. The role of caregiver is a serious one, and patients in most states require a selective arrangement with their caregivers. Therefore, they must choose their caregivers carefully. Caregivers often visit medical marijuana dispensaries and purchase marijuana on behalf of their patients. Some patients with chronic and limiting diseases like cancer are unable to leave their homes to purchase their own medicine. Caregivers often grow marijuana for their patients. Since the growing laws for medical marijuana patients usually allows for the cultivation of more plants than recreational consumers can grow, many caregivers have fairly large gardens to tend. In Colorado, for instance, the legal limit per household for recreational marijuana growers is 12, but for medical marijuana patients and caregivers, it’s 24—twice the amount. This being the case, it behooves caregivers to develop a green thumb if they don’t already have one. It also behooves them to research the best strains for their patients’ conditions so they can provide the best relief. Many medical marijuana patients are not good at growing cannabis and would like someone else to take over this responsibility. Many caregivers will transport patients to see their doctors or do shopping since chronically ill patients often are unable to do this for themselves. Caregivers also may assist with light household chores. Cannabis caregivers cannot consume or take any of the cardholder’s marijuana or related products. Cannabis is off limits for caregivers. Being a caregiver isn’t a way to legally enjoy medical marijuana yourself. Even if they are genuine in their efforts to provide much-needed care, caregivers cannot use cannabis unless they are also a medical marijuana patient—or live in a state where recreational marijuana is legal. Cannabis caregivers also may not cultivate cannabis for any purpose other than dispensing it to the cardholder (unless the caregiver also happens to be a cardholder, and has received authorization for home cultivation). Cannabis caregivers may not sell or give cannabis to anyone other than the cardholder for whom they provide care. Regardless of whether another medical marijuana patient desires some of the cannabis they grew, caregivers cannot legally sell or provide it to them. Patients must consult their own caregivers for cannabis. As you might be able to deduct from the basic information presented above, being a cannabis caregiver requires compassion and isn’t a lucrative endeavor. In fact, many caregivers make nothing at all—which explains why a high percentage of them are family members to the patients they serve. If you’re looking for a cannabis career that will generate a steady income, there are better choices out there. The caregivers who make a modest income—or merely meet their costs—are the ones who cultivate cannabis for their patients. Depending on the laws in the state where the caregiver resides, some of them may sell cannabis to their patients, but generally at a reasonable cost. Since growing cannabis requires specialized lights that burn a lot of electricity, it can be expensive to produce a good crop. Thus, caregivers may recoup some money from selling their cannabis to patients when possible, but it’s not a lucrative endeavor. Some caregivers may even experience a monetary loss. Any profits would be relatively modest at best. Becoming a cannabis caregiver is a noble pursuit, but not a financially feasible one for most people. Surviving off the income produced would be difficult. If you are a compassionate, caring person who loves to grow cannabis, however, becoming a cannabis caregiver may be a perfect fit for you. The world needs more cannabis caregivers, so if this type of work appeals to you, by all means give it serious consideration and research the caregiver laws with your state public health organization. No doubt there are patients in need who would thank you for the service.